Betty Sung is an award-winning REALTOR® and has been practicing real estate for over 30 years throughout Vancouver. 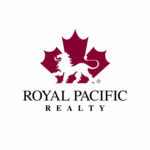 She joined Royal Pacific Realty Corp. in 2012 and is now the office manager in the newest office in West Vancouver, Royal Pacific Lions Gate Realty, proudly serving West and North Vancouver real estate needs. Betty also finds time to volunteer to help those in need by supporting the shower program for the homeless in Kitsilano as well as other philanthropy efforts.